The application window for the 2016 Second Year Fellowship has now closed. 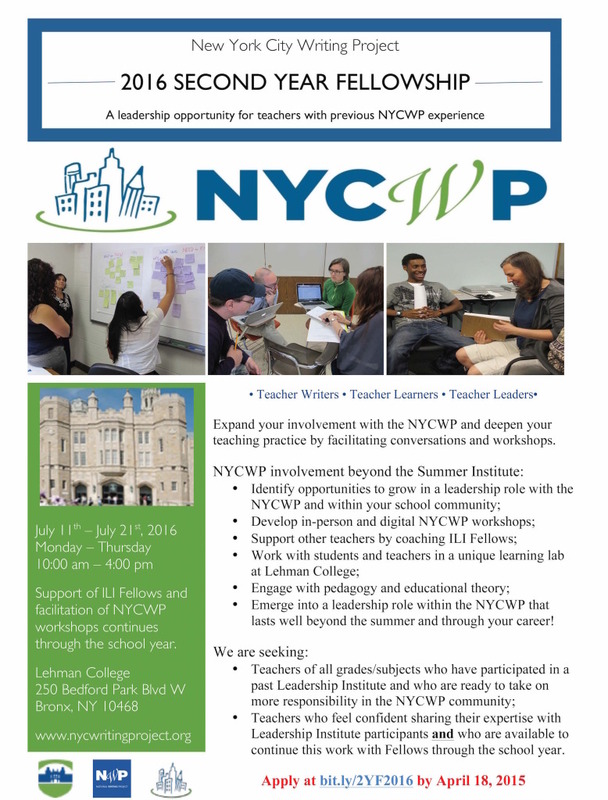 We encourage those interested in NYCWP professional learning to explore our other options for July. If you would like to be placed on the NYCWP mailing list so that you are notified when the application window for the 2017 Fellowship has opened, please email admin@nycwritingproject.org.